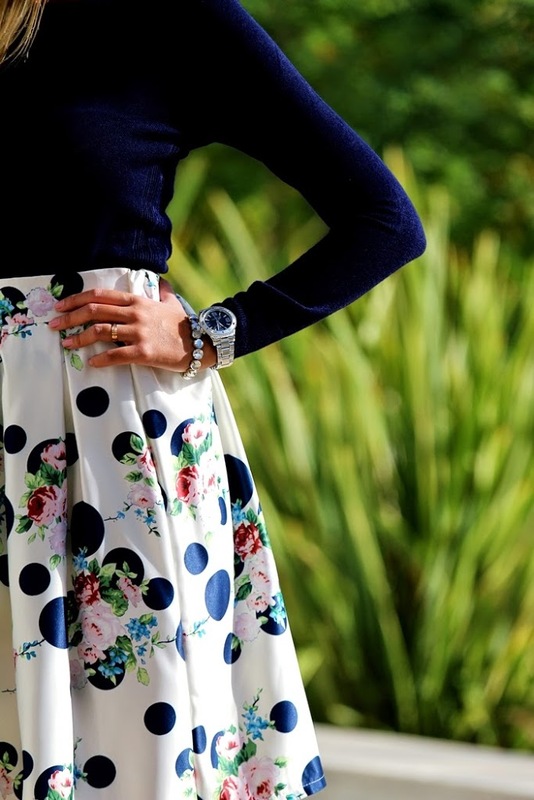 We are starting the week with a beautiful skirt from Sheinside, with floral and dots print. 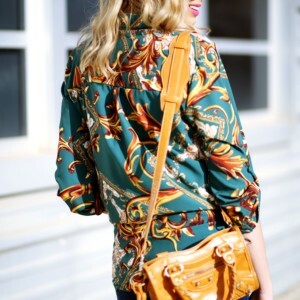 I love its pattern and fabric, so feminine and fetching. The silver shoes, go together with my outfit. This is a «MUST».